How to Use a Broiler Pan? This broiler pan is normally the included section of equipment which comes with an electric or gas range﻿﻿ or stove. But, too often, this broiler pan could be a permanent fixture in a storage drawer that is underneath the oven and so never sees much use. In fact, even those experienced home cooks don’t know the right way to use the broiler pan and would rather neglect using it due to fear of charring or burning food. It has a similar shape as well as size to that of the baking or a cookie sheet however it has a grate on the top through which the drippings drain off underneath. And it would be a great idea to consider a broiler pan as the upside down grill. The same with grilling, broiling would need high temperatures as well as it could help cooks shift from grilling to broiling. Most broiler pans do have a grate but not all have one. Indeed, the biggest advantages out of investing a nice and a new broiler pan are that it prevents the food maims from taking place. 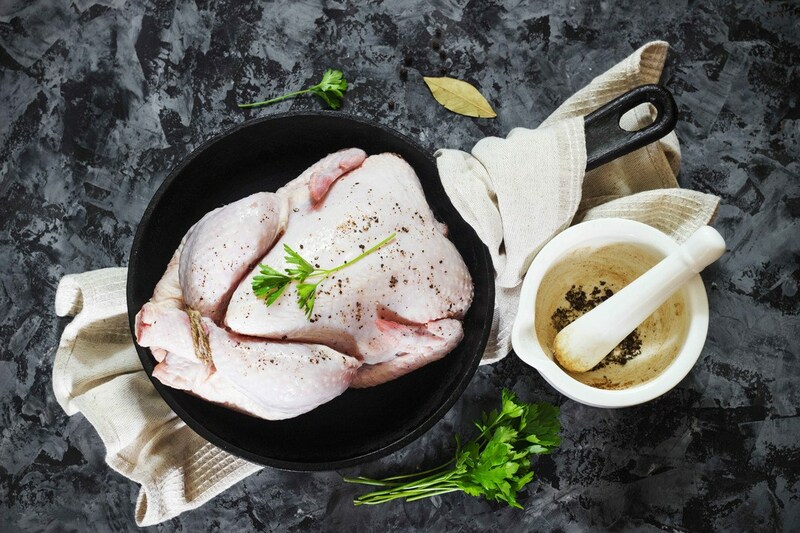 Buying a broiler pan with a durable nonstick surface at the same time keeping it clean would lead to a more enjoyable, safer, cleaner and easier dinner time. Food adhesion could be the biggest problem you might experience if you are not to replace the old pans. 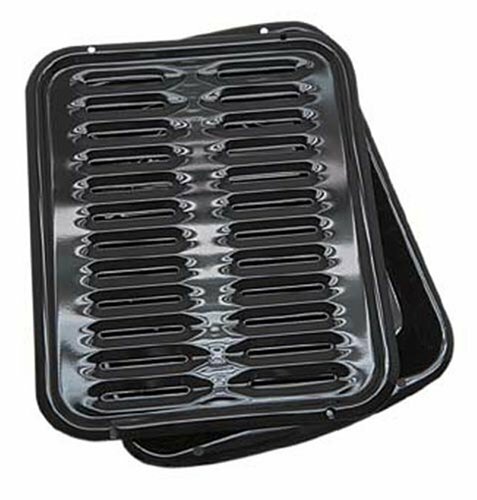 So, to avoid this issue, buying the best broiler pan must definitely be considered. So, why would you choose a broiler pan if you can use a regular baking sheet instead? Well, there are numbers of reasons why. Broiler pan is known to be a lot easier to clean and also very convenient to use as well. In addition, it is also a more effective cooking tool for the high heat. Cookie sheets are also fine for convection since the heat is coming from almost all the sides and so the cooking surface is being heated evenly. With a broiler pan, the food is being heated from the top. And also, a broiler pan would allow controlling the pan drippings compared to the regular baking sheet that you have. Most ovens only have two broiler settings, the on and off. This would equate to the low and high setting, respectively. It is also important to bear in mind that gas ranges and stoves usually have a hotter broiler temperature than the electric ones. Once you have a new broiler pan, and you are on your way to learning how to broil, consider recipe times and temperatures as the suggestion. It will be accurate if you will keep an eye close to the cooking food. Before you place the food on the broiler to cook, you have to bring it first to its room temperature first. Besides, there is always need to remember to preheat the broiler before you put the said pan in the oven. 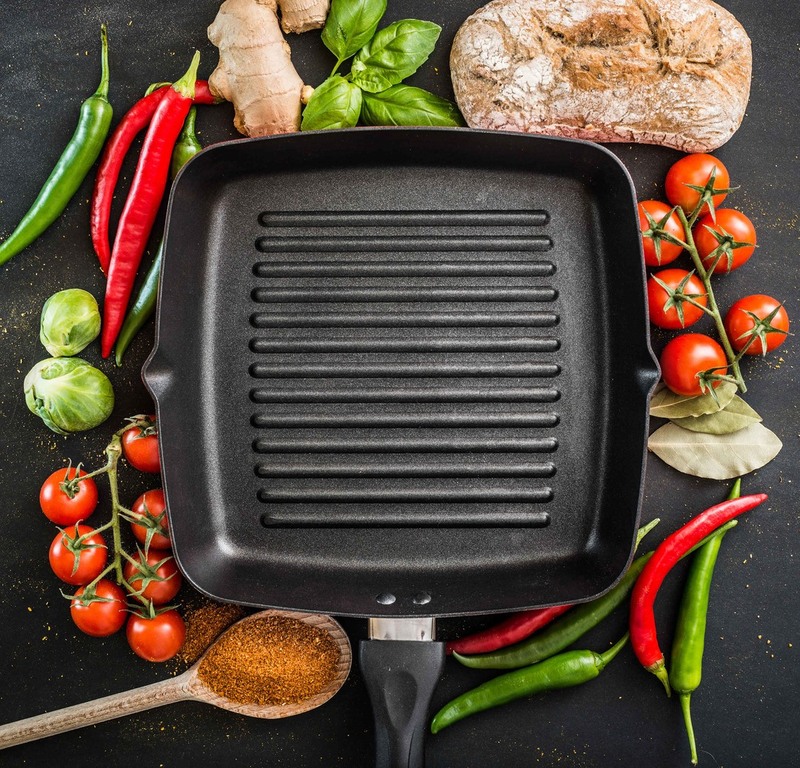 Knowing that broiler pans do have certain qualities that might vary from a pan to another, it might be confusing to find the best one. But, once you keep some key aspects of what exactly you are looking for, you will be able to come up purchasing the right one. How Often Will You Use a Broiler Pan? For those who are learning how to cook and you want to step up a bit from the recent broiler pan, then you might consider a very basic or simple broiler pan. A nicer pan along with a tougher nonstick coating is a nice option to those advanced home cooks who might be getting solid and consistent out of using a broiler pan. Or for maximum longevity, a no nonstick coating could stand the test of time and would crank out your meals right and left. What To Cook On The Broiler Pan? Identifying the need for a broiler pan would depend on the fact whether what you are going to cook it often. Once you are into cooking vegetables most of the time, you might benefit if you get a top rack which has more surface area. For meats, the racks with wide slits or those grill-style racks are ideal options making sure that all of the drippings will be caught and would end up in the pan, not on the food. However, if you have no idea on what to cook on the broiler pan, just aim for something that is in the middle of these two options. What makes this product a good player in the kitchen is its versatile use. No wonder, many homeowners crave for this item to add value to their kitchen and cook healthier meals with less hassle. As its name implies, Granite Ware comes with a grill rack, a flat broiler rack and a pan. The broiler rack's design is totally flat and does not have bumps, ridges or other lift surfaces. This will allow you to make numerous recipes and have control of the cooking style you want. Although the Granite Ware is popular due to its versatility, its quality may not meet your requirements for a broiler pan. Not only Range Kleen Porcelain Broiler Pan with Porcelain Grill allows for easier, healthier cooking, but is dishwasher safe as well. Beat the heat and enjoy a fun mealtime with your family and friends with this incredible broiler pan. 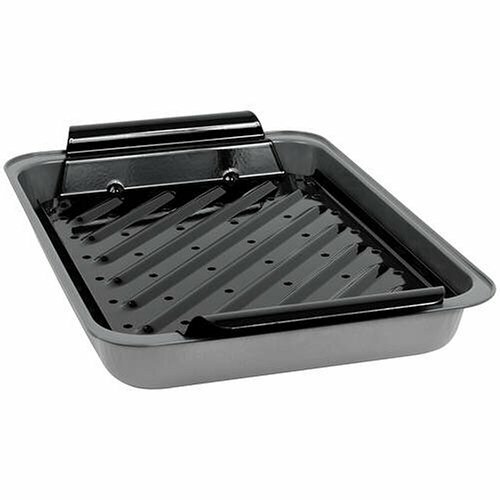 It features a grill pan and a broiler pan which is ideal for healthy cooking. This product is such a great upgrade that boasts a robust steel construction with a stick-free finish that makes for easy clean up through hand washing as well as cooks food hassle-free. It bakes moist, tender barbecue chicken, fish, steaks, vegetable skewers, and meatloaf. So far, there are no complaints about the product, though some claim that it doesn't meet expectations. Why is Norpro Stainless Steel Broil/Roast Pan Set on top? Aside from its durability and strength, this product offers longevity of use. This broiler pan helps with easy clean-up and makes sure the food does not stick to the pan. Unlike other products, Norpro provides a stainless steel construction without the presence of the non-stick coating. This takes off the constriction of its longevity. Another great thing about this broiler pan is that it features a diamond design to efficiently drain fats while leaving a vast surface area to be in contact with the pan. By far, the small downfall of Norpro Stainless Steel Broil /Roast Pan Set is the short-range inconvenience of not covering a non-stick coating. 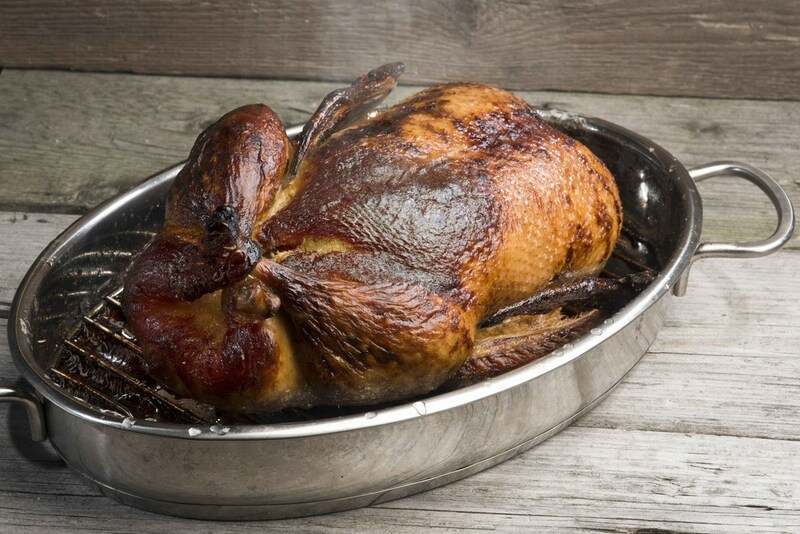 There is no better way to cook sea foods and meats than Porcelain Broiler Pan with Chrome Grill. If you want a broiler pan that offers excellent functionality, extremely easy to clean and is priced just right, then consider having this product to be added in your kitchen tools collection. 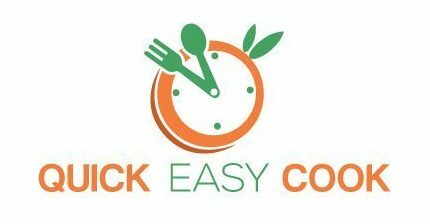 It is stick-free and easily helps people cook healthier foods and even roast a turkey at the bottom. 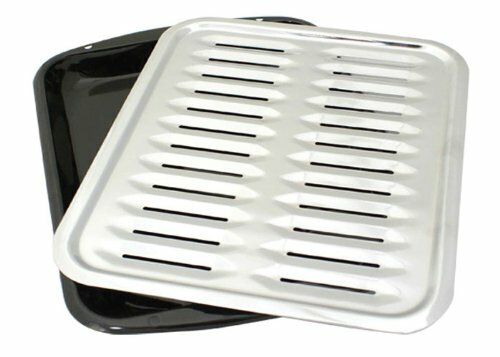 The Porcelain Broiler Pan is also perfect for vegetables, beef, fish, roasts and pork. Though the bottom pan is good, the top is difficult to clean. As you could imagine, the Baker's Secret Roaster with Rack features an extensive array of roasting products for any of your roasting needs. Perfect for beginners and advanced home cooks! Similar to other broiler pans, Baker's Secret Roaster features a non-stick, durable coating to keep meals from sticking. Not only that, it has the ability to drain excess liquid and fats. The top rack makes it extremely easy for homeowners to remove the pan in a safe and easy manner. With all the beneficial and excellent use of this pan, you may see it starting to fail even after a few months – as what other consumers claim. All in all, Granite Ware 0513-2 Bake, Broil, and Grill Pan, 3-Piece Set is a fantastic choice especially when it comes to sturdiness, durability, and quality. 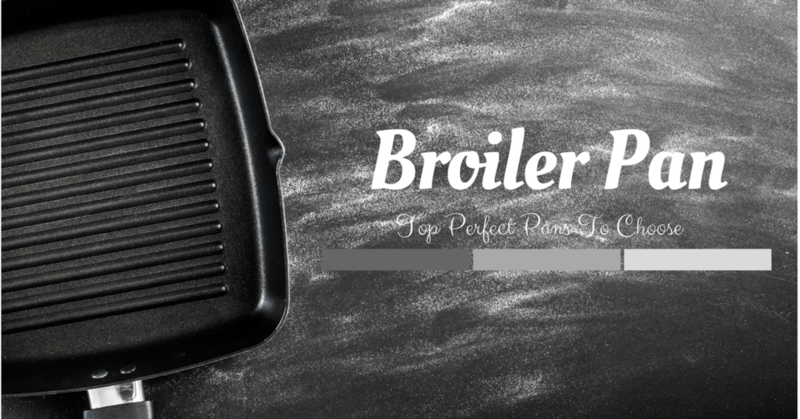 You will indeed be satisfied with the use of this best broiler pan compared to other options. Indeed, you need to bear in mind the buying guide and reviews I have discussed earlier if you want to make the process of buying the right broiler pan a lot easier and more convenient as well. As an additional help on your part, watch this to properly clean your broiler pan. May you find this review useful in finding the right broiler pan for fun, healthier meal? Have questions? Please leave your comments below. Hit like and share this article too!